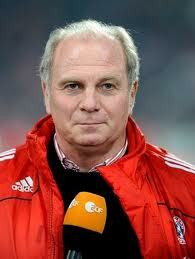 Munich - On January 5th 2012, Uli Hoeneß turns 60. The Bayern Munich president can look back on decades of success with the record champions, both as a player and, for many a year, as the sporting director. Hoeneß, though, is more focused on the times to come at FC Bayern, as he explained in interview ahead of his milestone birthday. 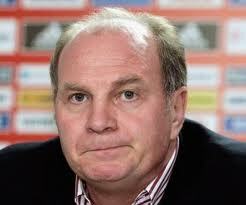 Question: Uli Hoeneß, is turning 60 an opportunity for you to reflect on times past and if so, what's your verdict? Uli Hoeneß: I'm not the nostalgic type, I've always been more concerned with the events of the moment. I still have a very tight schedule, so there's not much time for looking back - not that I want to anyway. You can't rest on your laurels in this business, or you end up at a standstill. Even if you win the Champions League you have to keep working away, flat-out. Question: How do you view the position of FC Bayern today? Hoeneß: It's great to witness how vital and alive the club is and the place it takes up in our society. Those are things we can all be very proud of. It's pretty special. 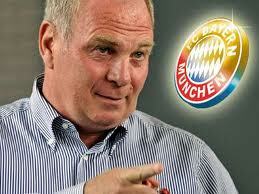 Question: Does Hoeneß the visionary still have concrete plans pertaining to the future of FC Bayern? Hoeneß: We're very healthily placed on the sporting front. If UEFA really does implement its Financial Fair Play programme over the coming years, German football, and FC Bayern in particular, are fantastically well prepared for it. Question: Will Uli Hoeneß still be president of Bayern Munich at 65? Hoeneß: My presidency runs until the end of next year, when I'll be nearly 61. If I'm voted in for another term, that would take me up to 64. Then we'd have to see whether I continued on from there or not. 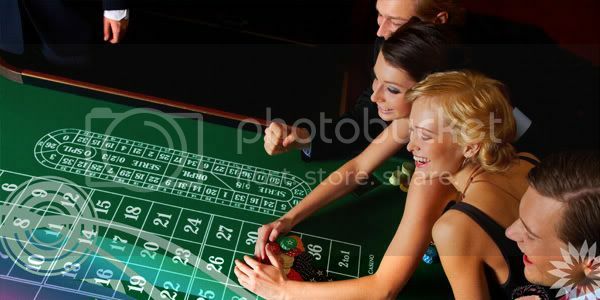 Question: You've won all there is to win in the game. Could you now imagine easing off a bit, or even calling it a day? Hoeneß: That's the very mistake many people make. I'm enjoying life to the full. Obviously, you get situations where you just think -Ah, to hell with it. But after a night's sleep, that's all forgotten again. I like going to work. I have a lot of friends between 60 and 70 who used to be high up in the game at management level and aren't doing anything any more and it has dramatically accelerated the ageing process with them. Question: Are you afraid of getting old? Hoeneß: Not afraid, but I'm feeling the impact of it ever more in my own circles, and it does send a bit of a shiver down your spine. Question: You're a very polarising figure. Is your image important to you? Hoeneß: I'm not someone who gets up in the morning thinking - What do I have to do today to make myself look good? I've never done that. Question: You've never avoided confrontation either. Do you sometimes regret certain things that have happened? Question: Is there enmity still bubbling over from any of your bust-ups down the years? 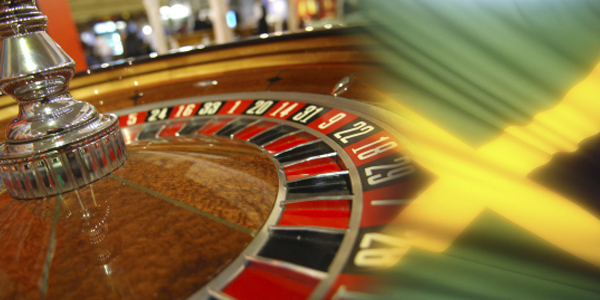 EXCLUSIVE 100% FIRST DEPOSIT BONUS UP TO MYR 50 for all new member register under currency of MYR. 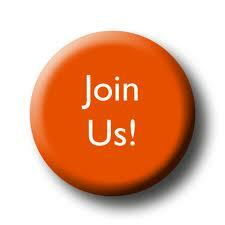 Fill in BONUS CODE "12DEC11100 " on the signup page during registration. Borussia Dortmund have refused to be drawn on reports they will sign Germany midfielder Marco Reus from Borussia Moenchengladbach in January. Reus, who has been publicly courted by Bayern Munich, is expected to leave high-flying Gladbach in the summer at the latest, with the title-challenging duo tipped to do battle for his signature in the winter transfer window.But Dortmund’s club officials would not speak of the player, possibly cautious of being drawn into a bidding war with Bayern. "We do not speak about players who are still under contract with other clubs," Dortmund CEO Hans-Joachim Watzke said. "Our clear principle is that we do not take financial risks, although there is no specific dogma we adhere to," sporting director Michael Zorc added.Bayern team manager Christian Nerlinger said money would be no object, with the player valued at €18 million in January - although it would drop to a specified €12m release clause in the summer. 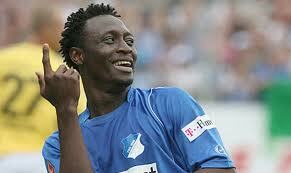 Hoffenheim striker Chinedu Obasi has joined Bundesliga rivals Schalke on loan until the end of the season. 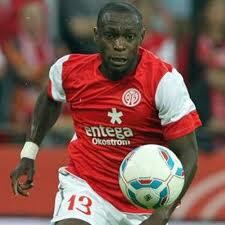 The 25-year-old Nigerian has played 65 league matches for Hoffenheim, scoring 13 goals. Midfield duo Mario Gotze and Toni Kroos has received praise from German national team manager Joachim Low for their professional attitude. 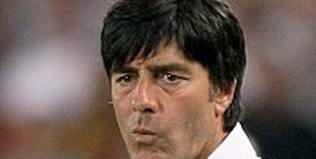 With the German national team preparing for the upcoming Euro 2012 in Poland and Ukraine, manager Joachim Low has showered praise on Mario Gotze and Toni Kroos.The midfield duo made their Germany debut in 2010 and since then, they have been first-team regulars for their country. Low insisted that the youngsters are aware of the work ethics, which is the sole reason behind their success at international and the club level. The DFB-Eleven manager reckons that Gotze and Kroos could play a major role in the upcoming Euro campaign. 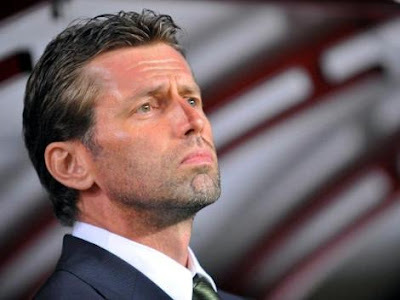 Hertha Berlin have named Michael Skibbe as the man to succeed Markus Babbel as coach. Babbel, who had announced his intention to step down at the end of the season, was sacked on Sunday and the club have wasted little time in turning to Skibbe. The former Borussia Dortmund and Bayer Leverkusen boss announced on Wednesday that he had decided to exercise a release clause in his contract with Turkish outfit Eskisehirspor in order to return to the Bundesliga. "I am looking forward to working in Berlin," Skibbe told Uefa.com after signing a deal which will tie him to the capital club until 2014. "I want to play attractive football with Hertha and to establish the team in the Bundesliga in the second half of the season. "Hertha has a big reputation in German football and in the long term the club have to get back to where it belongs: in the top third of the Bundesliga." Borussia Moenchengladbach ended holders Schalke's bid to retain the German Cup with a 3-1 win on Wednesday to book their spot in the quarter-finals while fourth division club Holstein Kiel stunned Bundesliga's Mainz 2-0. Marco Reus struck twice and Juan Arango added another as Schalke, without coach Huub Stevens on the bench due to family reasons, ended the game with nine men after the dismissal of Klaas-Jan Huntelaar early in the second half and Jermaine Jones in stoppage time. "We have worked hard this year. 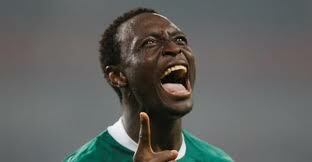 You need players who understand what you want to do and my players are intelligent," said Gladbach coach Lucien Favre. "We defended well in the first half and scored a goal but then we lost our concentration a bit. But it worked out in the end." Kiel, who beat second division clubs Energie Cottbus and Duisburg in the previous rounds, took an unexpected lead when Mainz' Anthony Ujah headed a corner into his own net after six minutes on a rugged pitch suitable only for lower division play.The hosts doubled their lead in the 63rd minute when Steve Mueller fired in completely unmarked at the far post after a 30-metre free-kick to spark wild celebrations among the northern club's 10,000 fans. "It is sometimes not easy to come back from a goal down against us," said Kiel coach Thorsten Gutzeit. "We were lucky at the right times today, we scored our goals at just the right time." Hertha Berlin, with assistant coach Rainer Widmayer in charge after the sacking of Markus Babbel and Michael Skibbe announcing he was taking over from Jan. 3, beat Kaiserslautern 3-1 to advance. Hertha Berlin has played 8 German 1 Bundesliga matches this season on Commerzbank Arena. 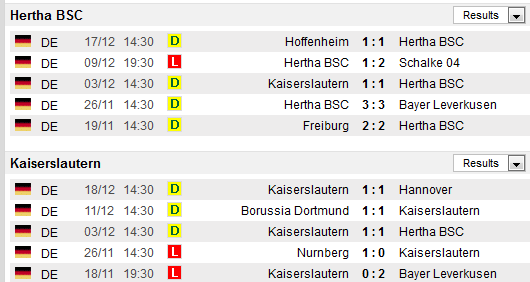 On home ground Hertha Berlin has won 2, drawn 3 and lost 3 matches. This ranks Die Alte Dame 15th in home team performance in the German 1 Bundesliga.1FC Kaiserslautern has played 9 German 1 Bundesliga matches this season away from home. On away ground 1FC Kaiserslautern has won 1, drawn 4 and lost 4 matches. This ranks Die roten Teufel (the Red Devils) 13th in away team performance in the German 1 Bundesliga. When looking at Hertha Berlin home performance in league points, Hertha Berlin’s performance is greatest when looking at opponents in the bottom 6 with an average of 1.13 points per game. 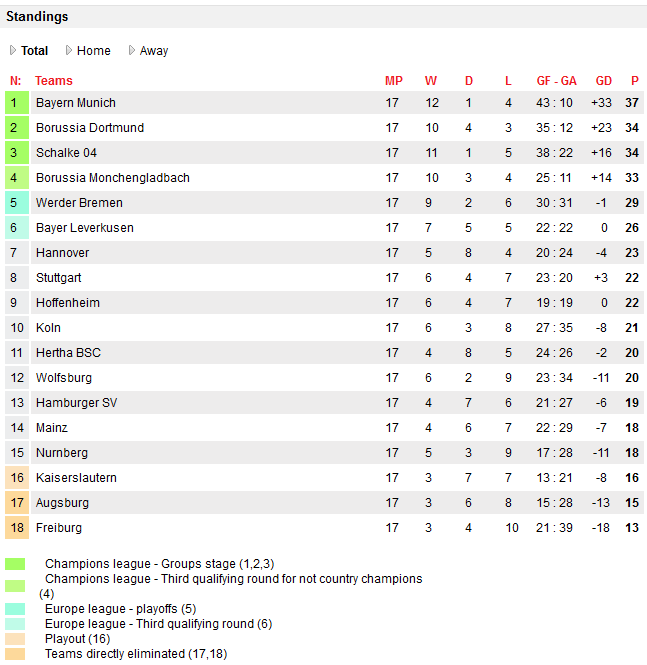 When looking at 1FC Kaiserslautern away performance in league points, 1FC Kaiserslautern’s performance is greatest when looking at opponents in the top 6 with an average of 1 points per game. Fortuna Dusseldorf has played 9 German 2 Bundesliga matches this season on Esprit Arena Paul-Janes-Stadion. On home ground Fortuna Dusseldorf has won 8, drawn 0 and lost 1 matches. This ranks Die Schanzer 1st in home team performance in the German 2 Bundesliga. Nurnberg has played 8 German 1 Bundesliga matches this season on Frankenstadion. On home ground Nurnberg has won 2, drawn 3 and lost 3 matches. This ranks Nurnberg 13th in home team performance in the German 1 Bundesliga.Greuther Furth has played 9 German 2 Bundesliga matches this season away from home. On away ground Greuther Furth has won 4, drawn 4 and lost 1 matches. 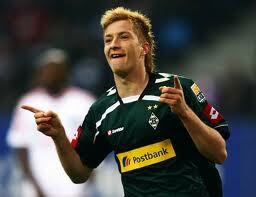 This ranks Greuther Furth 5th in away team performance in the German 2 Bundesliga. When looking at Nurnberg home performance in league points, Nurnberg’s performance is greatest when looking at opponents in the bottom 6 with an average of 1.75 points per game. 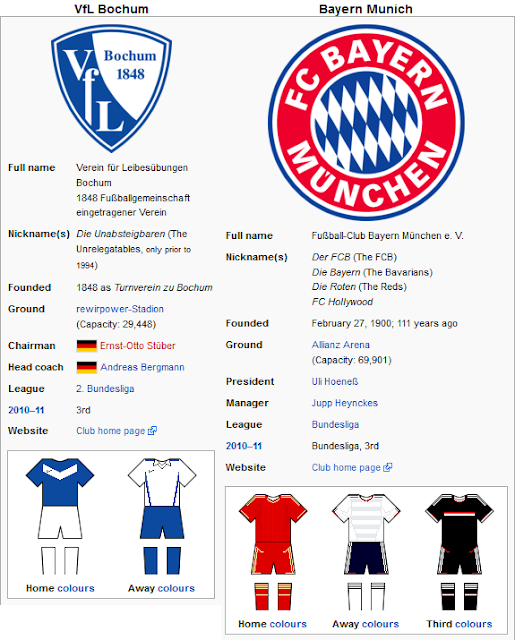 Verein für Leibesübungen Bochum 1848 Fußballgemeinschaft, commonly referred to as simply VfL Bochum, is a German association football club based in the city of Bochum, North Rhine-Westphalia. FC Bayern Munich (German: Fußball-Club Bayern München IPA:, is a German sports club based in Munich, Bavaria. It is best known for its professional football team, which is the most successful football club in Germany, having won 22 national titles and 15 cups. The club was founded in 1900 by eleven football players led by Franz John. 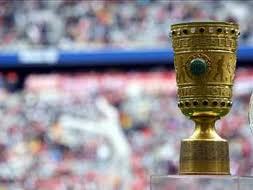 Although Bayern won its first national championship in 1932,the club was not selected for the Bundesliga at its inception in 1963. The club had its period of greatest success in the middle of the 1970s when, under the leadership of Franz Beckenbauer, it won the European Cup three times in a row (1974–76). In recent years Bayern Munich has been by far the most successful team in German football, winning six of the last ten championships. The club's last international title was the Intercontinental Cup in 2001, though they won their fourth European Cup the same year. 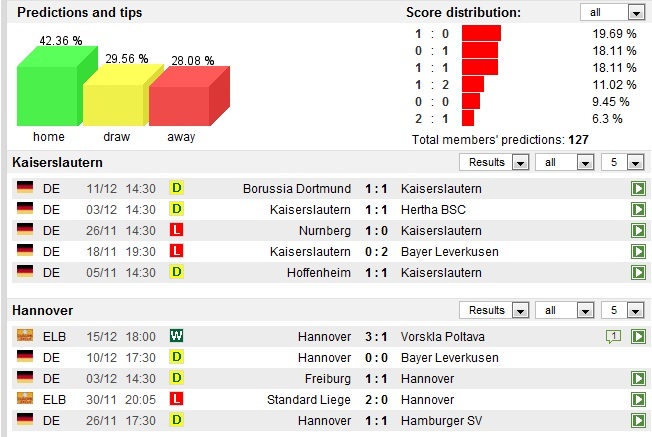 Hannover 96 that is currently placed in the mid 6 of the German 1 Bundesliga 1FC Kaiserslautern has managed to collect an average of 0.67 points in 3 matches this season. 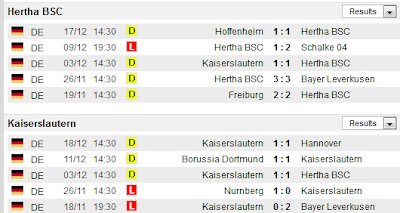 Concerning matches played at home against the mid 6 this season 1FC Kaiserslautern has collected 0 points on average in 1 match.